Over a time period we are seeing new changes in ABAP and hope will come more and more to get work easy and interesting. As a developer we always try to write code in optimized way, but whenever coming across a situation to enhance standard functionality like user exits, enhancements , adding extra functionality to copied Adobe Form etc.. some times we have to carry forward logic using existing data source or internal table with the help of For All Entries. For All Entries is nothing but a join to an internal table. But it has some limitations and restriction to use SQL expressions and Order by clause with field names etc.. Please go thought below link to understand how to push internal table to AMDP method and usage. Note : Please read comments of below shared link blog for fair usage. After Creation of GTT table and insertion of records into GTT we can write direct query, Please see below example. The GTT concept specifies that a GTT is always empty at the start of a database LUW and hence always has to be cleared at the end of each database LUW. INSERT zgtt_flight FROM @(  VALUE #( carrid = 'LH' connid = 2402 ) ). The SELECT statement handles the internal table of the application server like a database table on the database and internal table must be prefixed with @ symbol as a data source of a query. DATA : lt_flt TYPE STANDARD TABLE OF lty_flt. lt_flt =  VALUE #( ( carrid = 'LH' ) ( connid = 2402 ) ) . Well, hope this idea will be useful and always refer the sap help documentation for best practice. Long Live ABAP….very informative content. Where can I get access of ABAP 7.52? Very well blog… How I can get a access of ABAP 7.52? I would also advocate reading the SAP Press book about ABAP Development on HANA. 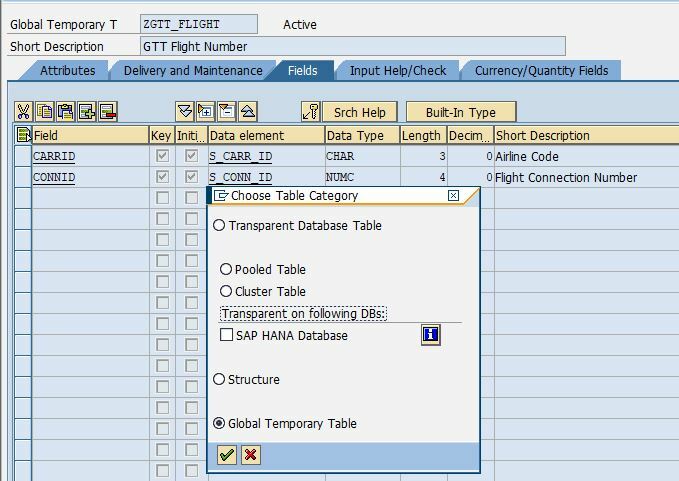 My understanding (based on what i read there) is that when a FOR ALL ENTRIES is passed to a HANA database it automatically turns the selection table into a temporary database table, and then does an INNER JOIN on that temporary table and the other real tables being queried. From an SQL perspective (e.g. an ST05 trace) that means you get one big SQL statement, rather than the hundreds of lines you see when looking at ST05 for a FOR ALL ENTRIES in a non HANA database, each line having a description such as XYZ IN (A,B,C,D,E) OR… and so on. So in 7.52 with a non-HANA database you have to stuff around with doing this yourself, with a HANA database your existing FOR ALL ENTRIES will magically improve themselves. There are a bucket load of “under the hood” optimisations like this in a HANA database, which is why it is so much better than people think…. Point 3 Using Internal table as Data Source From Release 7.52 will be very good, I am eagerly waiting for 7.52 system..
Good information.Thank you for sharing.